NEW! 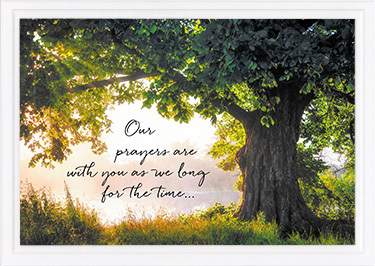 FRONT: Our prayers are with you as we long for the time ... 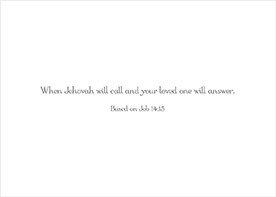 INSIDE: When Jehovah will call and your loved one will answer. Based on Job 14:14. An attractive embossed white border nicely frames the high-gloss UV coated picture on the front. Size: 5" x 7" folded.